A well-employed man was recently in New York City to tend to the needs of his job. A call from his wife, at home in Florida, prompted him to fly south immediately so he could be with her for the birth of their first child, a son they named Noah. Noah’s birth required a C-section delivery and his wife required her husband’s help with her recovery and with Noah’s newborn care. Although the man was balancing his family responsibilities in accordance with his employer’s paternity leave policy, the man was criticized harshly for putting his family first. He wasn’t criticized privately or even locally, within the confines of the company for which he works. His criticism was broadcast publicly, on national radio. Insults to him and his wife spread like viral fever throughout the internet and other media outlets. The man, Daniel Murphy, plays second base for the New York Mets baseball team. His wife, Tori, who often travels to New York with him, couldn’t make the trip this time because their first child was due about the same time baseball season opened for 2014. Noah was about an hour old when the first game’s first pitch was made. Murphy missed the first two games of the season to be, instead, at home during a monumental one-time-only turning point in his family’s life. The harsh criticism came from a couple of sports announcers on WFAN Radio. Fortunately, Murphy’s teammates and team manager stood by him in his decision to put family first. Millions of his fans stood by him, too. Not every new father gets the public attention Murphy got. Not every new father even gets a paternity leave policy to protect his job when his family needs him more at home than at work. Not every new father who does have the benefit of paid or unpaid paternity leave even knows how he feels about taking it. Men’s mixed feelings on paternity leave are a subject Boston College professor Brad Harrington has explored in depth recently. 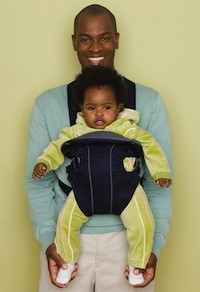 99% said paternity leave should be offered by employers. 60% (with at least one child younger than 18 years) said a new employer’s paternity leave policy is a very or extremely important consideration when exploring a job change. Approximately 50%, however, said they would would not take paternity leave unless they received a full paycheck while on leave. 70% said paternity leave should be taken and respected. 37% said men should be respected for returning immediately to work after the birth of a child. 68% said two weeks or less was adequate paternity leave time. Source: “The New Dad: Take Your Leave (2014).” The New Dad / Research Study on Men and Fathers. Boston College. 2014. Web. Jun 25, 2014.